Some consequences of childbearing for the parents and children are partly expected by the parents, while others to a larger extent are unexpected. Also, some are rather general while others vary greatly between individuals. In principle, it would be valuable for individual fertility decision-makers to learn about consequences of childbearing that they are currently not aware of. This can be achieved by disseminating existing expert knowledge about effects that are likely to be poorly known to the public, and by doing further research on effects of childbearing. Knowledge about effects that are rather general, such as those involving physiological mechanisms, would be particularly valuable. Other effects, which may be described as social–behavioural, are to a larger extent expected and varying, and are therefore both harder to estimate and less important for individual decision-makers to learn about. For politicians and planners, knowledge about all types of consequences may be helpful, and perhaps especially those that are rather general. Comments from two reviewers are greatly appreciated. 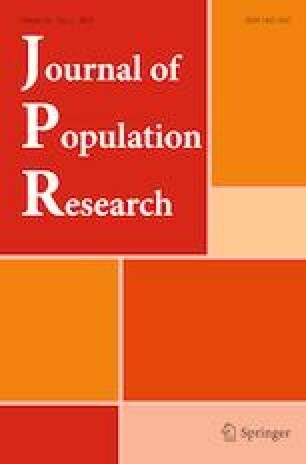 An earlier version of the paper was presented as a Süssmilch Lecture at the Max Planck Institute for Demographic Research. Funding was provided by Norwegian Research Council (Centre of Excellence funding scheme, project number 262700).